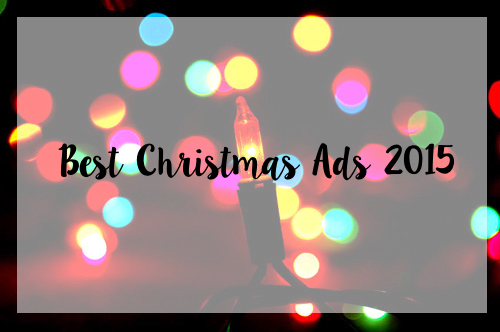 Festive adverts are all over the television from different shops and companies at this time of year, ranging from heartfelt stories to people having a party. There's a lot of ads out there, so I'm going to show the ones I think are best/most creative. Sainsbury's advert this year is quite a different one, with the subject of the advert being the cat of the Thomas family, who has a nightmare on Christmas Eve. He gets the Christmas lights tangled up in his tail and chaos follows, with cards being knocked over and the turkey in the oven burnt. I'm not going to tell you the rest but a plot twist comes later in the story and it ends so sweetly. It's narrated like a children's story, as it's supporting child literacy with Save The Children. A sweet advert supporting a good charity, well done Sainsbury's - you've pulled at our heart strings again. The story of this advert is very tear-jerking, too - about a girl who has a telescope and decides to look through it, finding a lonely elderly man on the moon and wanting to communicate with him. While the girl is enjoying the festivities with her friends, the man is still alone - so she decides to send a gift to him. I'm not going to ruin it for you, but what happens is so cute. People failed to see the message in this advert, as John Lewis have paired up with Age UK to spread the message that older people shouldn't feel alone for Christmas, with the words "Show someone they're loved for Christmas". Set to Aurora's cover of Oasis' 'Half The World Away, it's just so beautiful and makes you think about what you can do for your elders this Christmas. Lidl's Christmas advert this year is more of a comical one, with people going to Lidl's School of Christmas to learn how to have the best Christmas yet. There are lots of different lessons that the "pupils" participate in, such as how to light the Christmas pudding perfectly, what fairly lights should look like and even drama lessons on how to act when receiving a present. It's definitely something different and hilarious, especially with all the cute dogs helping the teachers out and helping Lidl create an awesome Christmas ad that will make us all laugh. Coco-Cola's advert this year is just pure joy. It's most people's way of knowing that the festive season is starting, as well as mine - it's the advert with the festive Coke truck, where the boy rings the bell and all the families come running out to see it, with the classic jingle played at the end. The truck is actually going on tour this year around the UK, dates and locations for which can be found here. Argos' Christmas advert is also advertising their new fast collection and delivery service, something very much needed when rushing around to find gifts for everyone. They've done something very clever to make this ad Christmas-y, by getting some professional winter sports people to ski and snowboard down a mountain with the products that Argos sell somewhere in the shot, whether it's an Xbox on the back of some skis, or minions inside a Zorb ball, they have definitely made the advert worth watching. I'm tempted to do some shopping at Argos now! Part of Debenhams' Christmas campaign is the hashtag #foundit, with FOUND IT printed in glitter on all their store bags (I know this from first-hand experience of buying gifts in there recently). The advert is particularly cute, as it shows some products that can be bought at Debenhams, with a voice over from some well-known celebs like Dawn French and James Nesbitt reading out the tags that would be written on the present and the person opening it. You'll have to watch it to see what I mean but it's a really thoughtful ad. Good job Debenhams. Cadbury's ad isn't necessarily about Christmas, but about advent calendars and the build up. They show you inside the factory, unveiling the huge trucks with all the advent numbers on it and the goods finally being sent on their way. As the transport makes its way across the country, the advert shows different people's reactions and they all meet up at the end to get into the formation of Cadbury's advent calendar, with the hashtag #freethejoy.